At the start of the century, science has made a lot of progress. Einstein had started the development of a completely new view of the world. In the 20s, a technological boom followed, and an economical one after that. Around 1900 there had been a lot of speculation about the nature of matter. 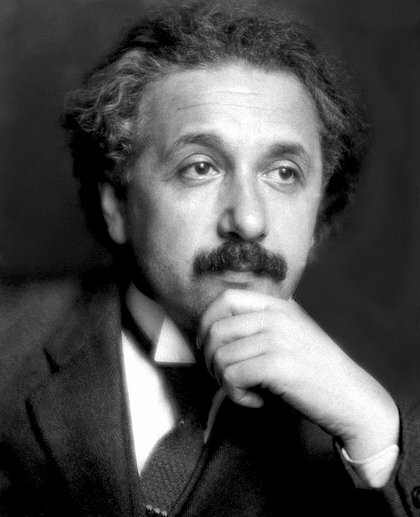 Einstein proposed that atoms exist (and light particles). Rutherford explored the precise features of these atoms. Max Planck discovered that the world was more digital than analogue (energy comes in integers). Amongst others, Niels Bohr came up with a theoretical basis for this. Einstein also proposed that matter and energy are interchangeable and that time is a dimension of space. Dimensions can be deformed and that explains, according to Einstein, our perception of gravity. Heisenberg and Schrödinger came up with uncertainty and so introduced pure coincidence in the movement of particles (and therefore in our world-view). The world became digital, multi-dimensional and because of pure coincidence, unpredictable. 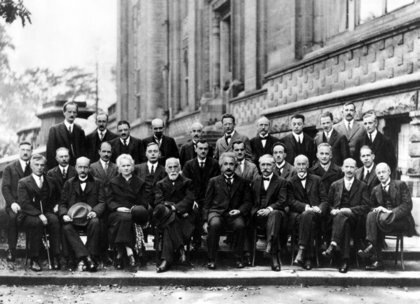 Most of the famous scientists of the time were present at the Solvay conference in 1927. The technological boom that followed in the twenties was without precedent! Telegraph, trains, television, aviation, cars, washing machines, fridges and much more was developed in this era. The world became more comfortable and smaller.